During my clerkship in the New Castle County Court of Common Pleas, there were two criminal defense attorneys who stood apart from the pack. Two attorneys whom law students watched intensely, eager to derive anything they could from an observation. The two attorneys, at one point, represented Tom Capano in Delaware’s most popular murder trial. Those two attorneys are Joe Hurley and Eugene Maurer, Jr. – Delaware’s kings of criminal law. The first voir dire (jury selection) that I observed was that of Joe Hurley. Amazingly, I still have my notes. 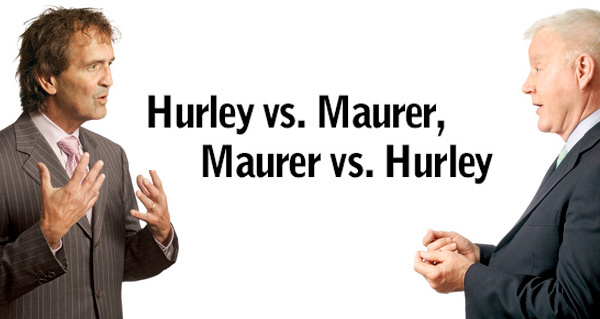 Many of my thoughts are validated by the conversation between Hurley and Maurer. I remember thinking Hurley was a bit dismissive to his peers, but incredibly sharp with the judge and jury. He was great at commanding the room and phrasing things in plain language, a skill known to many as, “dumbing it down”. All the while maintaining a wry, clever, and edgy kind of humor, keeping it interesting. Hurley’s client was accused of resisting arrest and assaulting an officer. His client was a fairly large intimidating man, but Hurley did not shy away from the facts. Instead, Hurley used his client’s size and demeanor to his advantage. Like a skilled Aikido fighter, he motivated your mind’s initial impression, connecting it with assumptions the police must have made at the time in question. To use force first or risk danger. The tactic took a strong defendant and made him appear vulnerable to the jury. He was now the victim, but not in a corny charitable case sort of way, but an unfortunate victim of circumstance. Needless to say, at the closing of the case Hurley obtained a positive verdict from the jury for his client. While I was not so fortunate, to sit in on one of Maurer’s cases, I did have the opportunity to review a large number of his motions and briefs to the court. His style was revered. Extremely confident but not cocky. Reading the conversation between the two, one can identify numerous similarities: Impeccable Work Ethic, Confidence, Self-Awareness, and Respect. All excellent traits. But, even Delaware’s top criminal minds made mistakes in their career. In fact, Hurley’s history shows that a large number of plans may not work, but with hard work and dedication one may become successful. While the independent causes for the success of the two men may be argued, one thing is for certain, their work ethic is superior to all and second to none. They both possess extreme confidence in their ability, along with a strong sense of respect and self-awareness. Mr. Hurley may come off as arrogant but it appears that he is quite aware of tactics and Maurer’s confidence, while a bit more polished, remains glaring. See the interview by Delaware Today here (begins in the middle of article). This entry was posted in Litigation and tagged criminal law, delaware criminal law, Delaware Today, delaware top lawyers, eugene maurer, Joe hurley, law, legal, top lawyers.